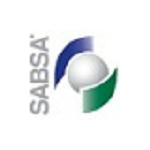 The latest in the SABSA at Work stream of publications, SW102 – A SABSA Reference Model for Anything as a Service, authored by Michael Kitsisa, has been released for SABSA members. This case-study covers examples of Multi-tiered Attributes Profiling, and a Multi-tiered Control and Enablement Strategy. The paper is accompanied by three appendices for members to download and use in their architectures. Michael is the 2017 winner of the Matt Whelan Award, presented for the best SABSA Advanced Exam Answer or Masters Thesis of 2017. Further work from Michael will be published in the near future. Just begun tucking into this. Appreciate the comprehensiveness at the outset. Thank you Michael for this great piece which I’ve only just started to digest.